Looking for a breath of fresh air this Spring? We're featuring The Helen Day Art Center, The Guild of Boston Artists and ArtsWorcester who highlight new work and new artists. These exhibitions will make you want to take a break from Spring cleaning and venture out into the warmth and the sunshine to experience refreshing artworks. 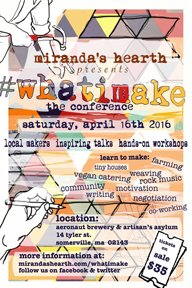 Don't forget to check out the upcoming events we're sponsoring, Montserrat College of Art's Annual Auction Party, Artrageous!30 on Saturday, April 2, Craft Boston's Spring Show April 29, 30 and May 1, Umbrella Center's Annual Auction Party on Saturday, May 7 and Miranda's Hearth #WhatIMake Conference on Saturday, April 16. Additionally, Blue at the Artists Corner & Gallery in Acton, juried by artscope's own Kaveh Mojtabai, opens Friday, March 25 with a reception from 5 p.m. to 8 p.m. You won't want to miss this. The Helen Day Art Center hosts Intimacy + Materiality now through April 10. The exhibit features 11 artists from around the world and showcases work in various mediums. 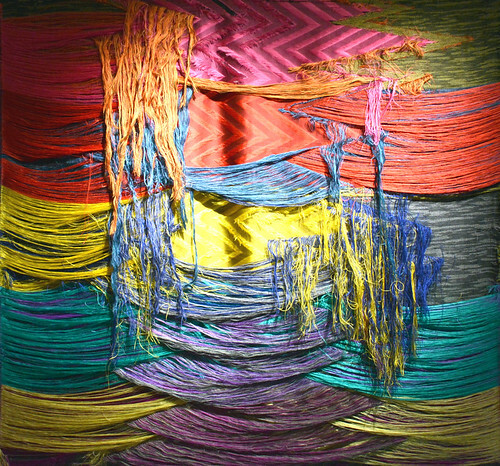 Artists use "traditional labor intensive techniques to create contemporary works of art" and the vast array of work speaks to each individual's own culture and upbringing. Artists Sarah Amos, Mike Andrews, Emily Barletta, Jodi Collela, Liz Collins, Elizabeth Fram, Wylie Sofia Garcia, Amy Honchell, Kathleen Schnedier and Fraser Taylor along with artists Rebecca Purcell, J. Morgan Puett and Jeffrey Jenkins who worked collaboratively, create modern art from techniques such as screen printed cloth, jacquard woven sculpture and mixed media. The exhibit incorporates several clothing pieces, including Wylie Sofia Garcia's "Cloaking Device," a brightly colored cloak, as well as abstract pieces such as "Portrait (Monster Beauty)" by Kathleen Schnedier, created by intertwining wires adorned with flower petals. Intimacy + Materiality also features screen printed cloth pieces, such as Liz Collins' "Belly of the Beast" from her work in 2014. "HumanUfactorY(ng) Workstyles: The Labor Portraits of Mildred's Lane," a series by artists Rebecca Purcell, J. Morgan Puett and Jeffrey Jenkins depicts portraits of individuals and their work tools for jobs such as gardening, cooking and working with animals. Intimacy + Materiality is running now through April 10 at the Helen Day Art Center in Stowe, VT. The gallery is open Wednesday through Sunday from 12 p.m. to 5 p.m. For more information visit helenday.com. 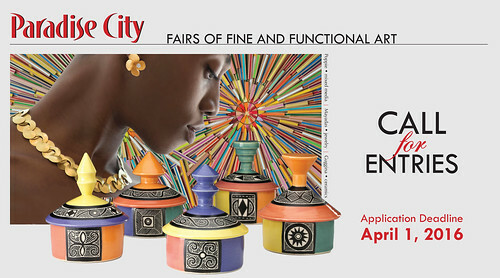 Paradise City presents New England's leading shows of handmade design, painting and sculpture. Paradise City's events showcase fresh, innovative work in all media in beautiful indoor settings, with extensive outdoor space available in the Northampton show for large-scale sculpture. Applications from new and emerging artists are encouraged. For 22 years Paradise City has been known for setting new standards in show publicity and marketing, and for its user-friendly approach to artists. For more information, or to receive applications to all Paradise City Arts Festivals, call 800-511-9725 or email artist@paradisecityarts.com. A full day of interdisciplinary talks followed by hands-on workshops. Learn to make tiny houses, community, vegan food, writing, negotiation, imaginary maps, dance, holistic farming, music, juggling, textiles, and robots. Finish the day at the post-conference bash featuring live music, dancing, and art! 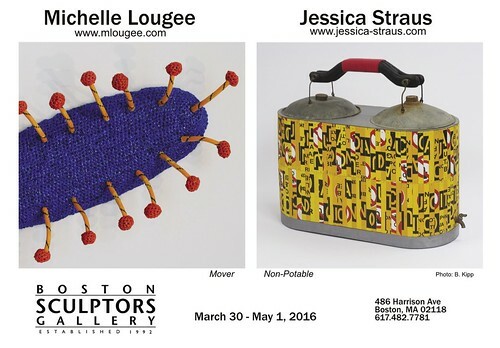 Two thematically linked exhibitions, Michelle Lougee's "Contra Naturam" and Jessica Straus's "Uh Oh!" will be showing at Boston Sculptors Gallery, March 30 to May 1. Examining our most precious natural resource--water, these artists bring a sense of urgency, poignancy and black humor to this timely subject matter. 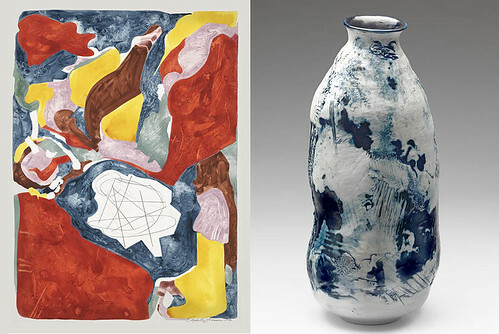 The Ceramics Program, Office for the Arts at Harvard is proud to present a retrospective of work by master potter Namhi Kim Wagner. RSVP to join us on 3/26 for lectures on her work and influences; all are welcome to attend a reception with the artist from 5-7pm. 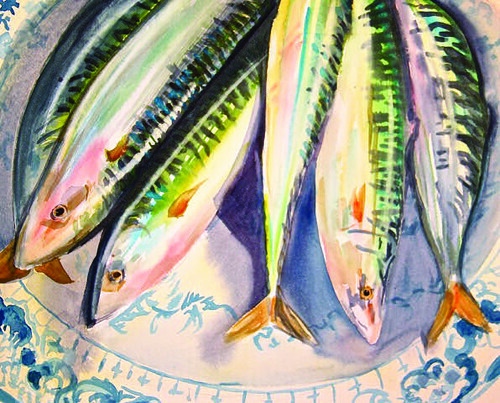 Amy Hourihan, Mackerel on Spode, watercolor. 3x3: 3 Artists, 3 Media. Reception: Sunday, March 13, 2 - 5 pm. Free and open to the public, wheelchair accessible. Hours: Mon - Fri, 8:30 - 5. 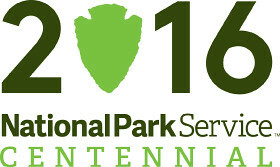 This year the National Park Service turns 100 Years Old! The Brush Art Gallery and Studios, in partnership with Lowell National Historical Park, invites artists to enter this national juried exhibition, celebrating the 100-year anniversary of the National Park Service. Artists are encouraged to submit works that represent a broad view of interpretations to include environmental, ecological, cultural, historical, and political ideas. 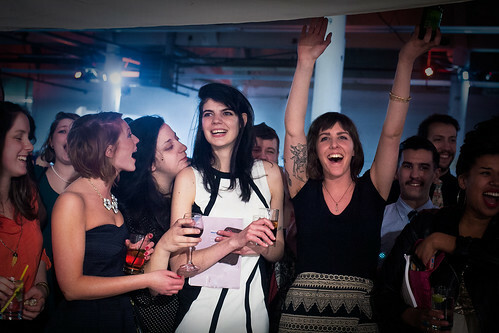 The jurors will consider a range of work from traditional representation to experimental in concept. Know Not Thy Pending Fate by Christina Mastrangelo. The Guild of Boston Artists is also displaying works of new artists in their New Members' Exhibition running April 2 through 25. The exhibit features 14 New England artists and highlights both painting and sculpture in a variety of traditions. 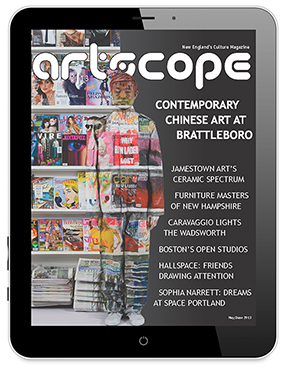 Artists Harley Bartlett, Kelly Carmody, Pablo Eduardo, Michelle Jung, Donald Jurney, Erik Koeppel, Christina Mastrangelo, Lynne Mehlman, Andrew Orr, Theresa Pergal, Mark Shasha, Ron Tinney, Debbie Valeri and David Williams-Bulkeley work with several forms of traditional art from the Boston, Cape Ann and Hudson River Schools, European Academic traditions and romantic bronze sculpture. Ranging from portraiture to landscapes to bronze sculpture, the exhibition displays not only a variety of work but includes artists with a knowledgeable background and who display a distinct expertise at executing their work. Christina Mastrangelo's work "Know Not Thy Pending Fate" is reminiscent of Italian Renaissance work, while "Jetty Shadows" by Mark Shasha has a much more impressionist feel. With such a wide variety of technique and each artist displaying an in-depth knowledge, the New Member's Exhibition draws viewers and artists of all levels and encourages a conversation with a multitude of opinions and interpretations. The New Members' Exhibition is on display April 2 through 25 in Boston, MA. An opening reception will be held on April 2 from 3 p.m. to 5 p.m. and an RSVP is required. There will also be artist talks on April 16 at 2 p.m. where registration is suggested and on April 23 at 2 p.m. where an RSVP is required to reserve a seat. For more information visit GuildofBostonArtists.com. 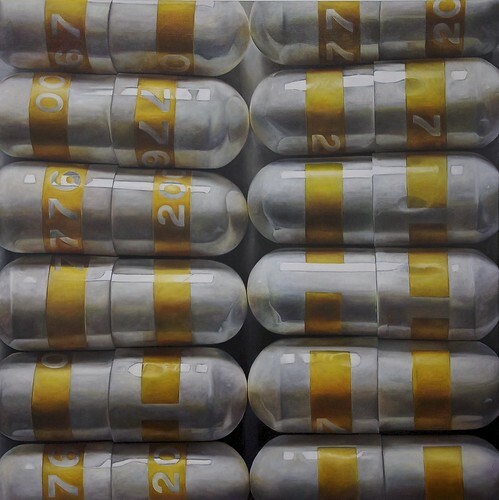 Tess Barbato's artwork "Assembly Line" oil on canvas, 50 X 50". In collaboration with the Worcester Craft Center, ArtsWorcester is pleased to present the work of a wide array of new members in NOW! 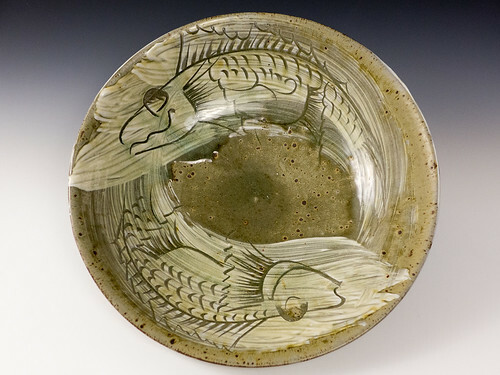 New Work, New Artists at the Worcester Center for Crafts, now through April 16. Juried by Roger Hankins, the Director of the Cantor Art Gallery at the College of the Holy Cross, NOW! New Work, New Artists is "a collaboration to exhibit the next generation of regional artists" and focuses on showcasing artists under the age of 40 who live and work in Central Massachusetts. The exhibit features over thirty artists and includes works by Nicholas Kantarelis, Cesar Rodrigues, Tess Barbato, Jennifer Amenta, James Dye and Leslie Graff. NOW! New Work, New Artists highlights a variety of topics and techniques. The work of Tess Barbato leans towards a more political voice with series titled "Pharmacide" and "This Week's Special" in order to dialogue with the viewers on social subjects. Cesar Rodrigues' work focuses more on his own internal monologue. Rodrigues uses a variety of color in his abstract paintings, with vibrant reds and oranges and bright yellows and greens, contrasting with the deeper blues and purples in several other works. Artist Nicholas Kantarelis works in both painting and sculpture and uses natural materials to create unique installations. Leslie Graff also works in acrylic, oil and mixed media to create abstract works. With the inclusion of many other artists, NOW! New Work, New Artists displays a unique dynamic by involving voices from various individuals, each with their own extensive knowledge and background. NOW! New Work, New Artists is on display now through April 16 at ArtsWorcester in Worcester, MA. The gallery is open Thursdays through Saturdays 12 p.m. to 4 p.m. and by appointment. 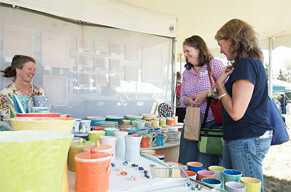 Visitors shop at the 2015 Craft Festival at Fruitlands. HOURS: April 15-November 6, M, W, Th, F 10-4. Sat, Sun & Holidays 10-5. Call for entries for the 6th Annual Craft Festival at Fruitlands-September 24 & 25, 2016. New England craft artists making original work are invited to apply to this two-day outdoor show featuring the work of 40 juried artists. Artists interested in exhibiting should visit www.fruitlands.org/exhibitions,entries for an application. 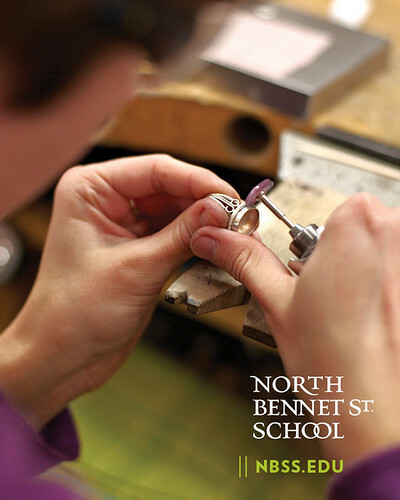 Preservation Carpentry and Violin Making and Repair. we encourage individual growth and technical mastery. Left: "A Jar in Summer," acrylic on paper, 30" x 22", 2015. 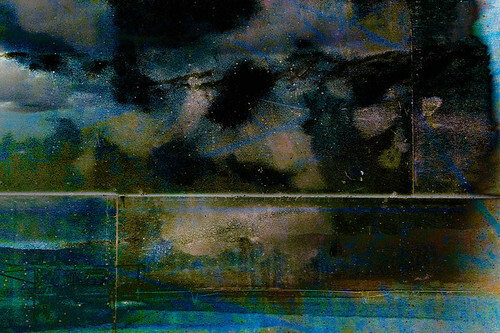 "Three Views of Lakeside Lake," pigment print, 30.5" x 45.5", 2015.
and "over/used" by Odile Dix. The opening reception is Friday, April 1, from 6-830 pm. Saturday, April 2, 6 pm. VIP preview party with early bidding at 5 pm. Live and silent auctions of work by established and emerging artists; great food, students creating art in the moment; music and fun. 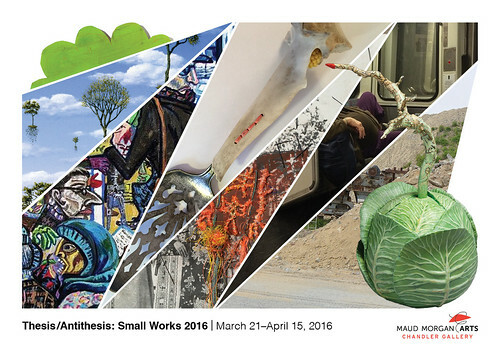 The space that separates two opposites is filled with tension, humor, and paradoxes, as evidenced by the artwork in the Chandler Gallery's upcoming "Small Works Salon 2016: Thesis/Antithesis." Juried by artist Gerry Bergstein, the exhibition features sculpture, paintings, photographs, and prints that fuse two contradictory ideas such as realism and fantasy, movement and stillness, or sincerity and irony. "I have always thought that art deals not only with the question 'What is it?'" says Bergstein. "But also with the question 'What ELSE is it?'"